Some of our gorgeous brides love to sparkle so much they choose headpieces for their weddings AND engagement parties, like beautiful Bridal Styles bride-to-be Liridona! 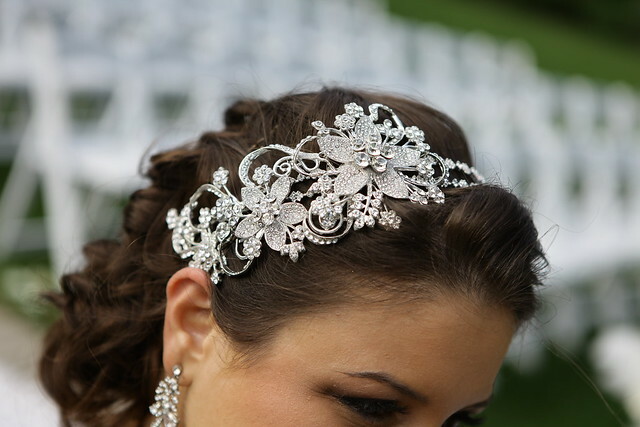 “I just want to thank you for all your help and making my experience in finding a headpiece so easy and delightful! Feel free to use the attached pictures of my engagement party to show your unique and exquisite craftsmanship of my custom headpiece, a headband and comb headpiece made into one that I can also separate and use each individually which I LOVE! My headpiece was stunning and everyone loved it. I received so many compliments on it! Thank you so much for sharing your engagement party pictures, Liridona. You look stunning, and we can’t wait to help you choose just the right accessories for your wedding day! 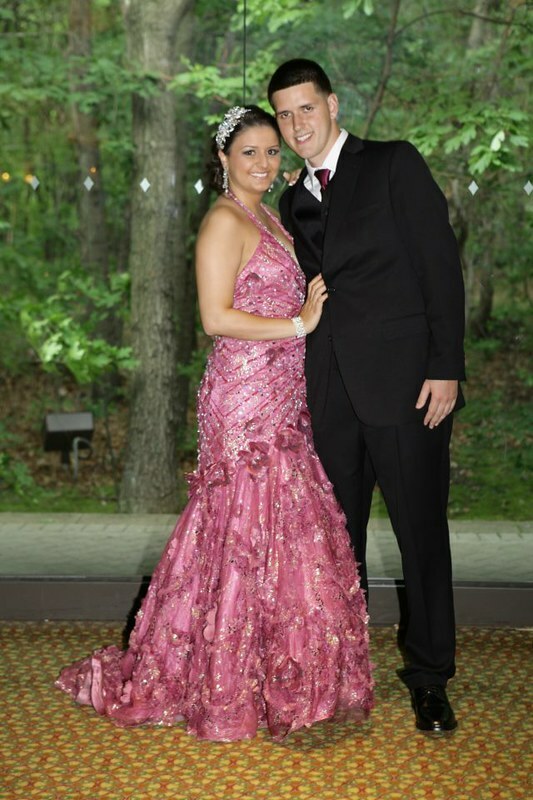 This entry was posted on Friday, February 8th, 2013 at 1:28 pm	and is filed under Notes from Our Brides. You can follow any responses to this entry through the RSS 2.0 feed. You can skip to the end and leave a response. Pinging is currently not allowed.